EKE’s residential complex Dve Epohi was again voted as the best new building on the Vasiliyevsky island in St. Petersburg. 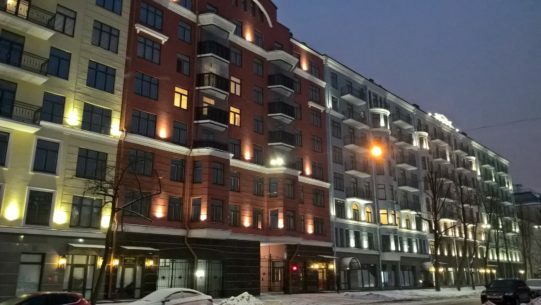 Experts of the internet portal Novostroy.su rated 19 new residential complexes constructed on the Vasilyevsky island in 2018. Among the best three complexes were stated Samosvety, Palacio and EKE’s Dve Epohi, which won the first place also the year before. According to seven independent experts, the Dve Epohi apartments have optimal quality in business class and excellent territorial placement - in green environment, close to the Vasileostrovskaya metro station. Dve Epohi was commissioned autumn 2018. Today 95 percent of the apartments are sold.